What role does courage play in our lives and those of companies? For most of us, this is “what we often miss to live the life we ​​are destined for,” said Marie-Josée Gagnon, president and founder of the communications and public relations firm, Casacom. 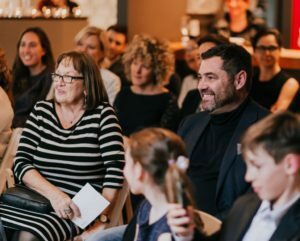 Marie-Josée explored courage through eight meetings with entrepreneurs and executives. The series “Brave” took place between October and June 2018 (visit braveinspiration.com to listen to the podcasts). For 17 years, Marie-Josée has advised leaders in their communication plan, when the sun shines as, well as when the storm rages. In front of journalists like me, these leaders always show themselves in their best light. “Never let them see you sweat …”, they say. Marie-Josée sees behind their mask. I wanted to know what she sees that I do not have access to. Here is the result of our discussion on the subject of ‘courage’. Why does ‘courage’ interest you? I meet so many dissatisfied people. Their lives seem to be on track, but nothing more. This is not exactly what they aspire to be. I wondered, why do I feel differently. I came to the conclusion that I owe it to courageous actions which have taken me elsewhere, on my “x”. Why does the Brave series only feature women? Do you find women more courageous than men? That was a gesture of courage on my part! The decision to focus on women for this platform was a difficult one. Men are welcome in the room, but I think women still have a long way to go before they’re “there,” so you have to give them a boost. It takes courage to dive in when everything is not perfect, when you aren’t able to control everything. Perfectionism is a more feminine than masculine trait. 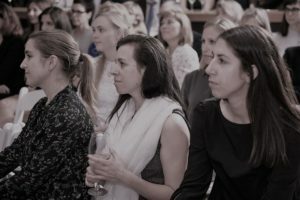 I believe that if I want to influence women to activate their courage, we have to give them stories of women who have done it and shown bravery. Individuals can be brave, companies too. What does a non-courageous company deprive herself?She misses her destiny. Take the case of Ultima Foods which lost the Yoplait brand in December 2010. In a few months, they launched a new brand, iögo. I saw this team tap into all the courage they had and go get all her energy reserves. Entrepreneurship was already in her DNA, but for this project, the step was very high. How do you activate the fibre of courage in your clients? It’s always easier when I have an unsatisfied leader in front of me. If I work with an executive who feels comfortable, it’s more of a challenge. In both cases, I explain the worst that can happen. “If you do not do that, here’s what could happen.” We advise, and the client makes the decision. This is the reality of consulting. What is the basic courage gesture for a company? Your communications / public relations firm has existed for 17 years, how has the courage of companies and their leaders evolved? Generally, we find that leaders do not like talking to reporters any more than they did 17 years ago! On the other hand, however, I see that there is more transparency now and meetings with stakeholders are more frequent than before. I think of this great American company that has come to explore the Quebec market. The leaders were terrorized by our “French language policy” (Office of the French language) … I proposed to them a meeting to separate their fears from the reality. They were very nervous to meet them. They came out relieved and satisfied after the discussion. What is the ultimate form of courage for an entrepreneur / leader? Building a company based on your values ​​while society is not ready to follow you. I think of Anie Rouleau, who founded Baléco, the green cleaning products company, and Nathalie Tremblay, who founded Marmott Énergies, a geothermal solutions firm. These women fight every day because the values ​​they defend are not yet imbued by society. Every day is a challenge, a test of their stamina and determination. There are many opportunities to give up, to compromise but they stand strong and courageous. Board members who do not ask the real questions because they are afraid of being rejected, fall out of favor and will no longer be part of the group. “We are all responsible for the integrity of the news,” you say. What is the role of leaders in this issue? We must all fight against false news. Leaders, meanwhile, must agree to deal with what is uncomfortable. They must face what is happening in their organization and communicate it clearly, with humanity and empathy. It must be said, then remains the way to structure the message, of course. You say that 10% of the leaders you accompany choose not to communicate. Does their business necessarily fare worse? I must admit that some companies do well without transparency. Why? Some people are said to ‘always land on their feet’. Companies have dozens of legs and count on their employees. The potential to bounce back is greater. That being said, I remain convinced that the company that does not have the courage to communicate, misses an opportunity to become a better version of itself. Not to communicate is not to connect. We come back to the beginning of our conversation — just like the individual, a company that lacks courage, has a correct life, rather than the extraordinary fate it could achieve. When I started Brave six months ago, I explained why I did it. I wanted to share my intentions to make sure they would come true. Since then, five Brave women have shared their stories. Many people told me how much their stories made them think and inspired them to move forward. And then, on Friday, I received this message from London from someone I do not know. I was so touched that I decided to share it with you all. Feel free to share your story! I’m writing to congratulate you and thank you for your idea of BRAVE podcasts. On day, I was looking for a podcast idea on my iPhone and I came across the interview with Kim Thúy, a bubbly and funny woman. This is how I fell in love with Brave and have not stopped listening to each podcast waiting impatiently for the next as if it was a new episode of a series to which we are addicted. I am a 25-year-old French living in London but returning to Paris. I am currently experiencing my first major professional challenges, some would call it “the quarter-century crisis”. I wanted to thank you because your podcasts give me hope and push me to be brave because tomorrow is another day. 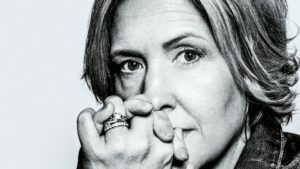 Have you seen Brené Brown’s TedTalk on the power of vulnerability? Her message is powerful: if you want to have real relationships with others, you must agree to be “seen”, i.e. you must show your vulnerability. Our interviews are based on this idea. Our Braves not only have a brave journey; they open up to others, show themselves as they are, and thus succeed in touching the hearts of those who listen to them. 18 questions for a courageous New Year! As the New Year approaches, why not embrace the theme of courage for the next 12 months and see what it brings you? 1. Do I dare to eliminate my irritants? 2. Am I daring to respect my limits? 3. Do I dare to communicate my standards? 4. Am I daring to face my fears? 5. Do I dare to live in accordance with my values? 6. Am I daring enough to express my dissatisfaction? 7. Do I dare to have difficult conversations? 8. Do I dare to raise my hand to propose my ideas? 9. Do I dare to share my vulnerabilities? 10. Do I dare to say I love you? 11. Do I dare to ask others what they think of me, of my actions? 12. Do I dare to do things for the first time? 13. Do I dare to learn a new discipline? 14. Do I dare to contact this person whom I admire? 15. Do I dare to ask for help? 16. Do I dare to let go all over again? 17. Do I dare to choose the option that requires the most courage? 18. Am I daring to be brave today? Do you have any other questions to add to this list? Share them with us! 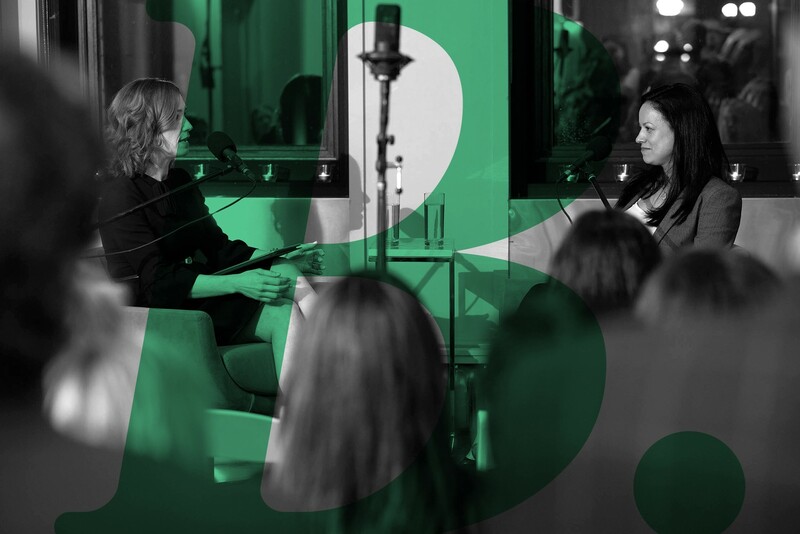 If you like the stories of courageous women, you’ll love this talk from NPR’s Guy Raz with Rent the Runway Founder Jenn Hyman. Her brave journey is a great example of what needs to be done to make our dreams come true. Her meeting with designer Diane Von Furstenberg is particularly eloquent. 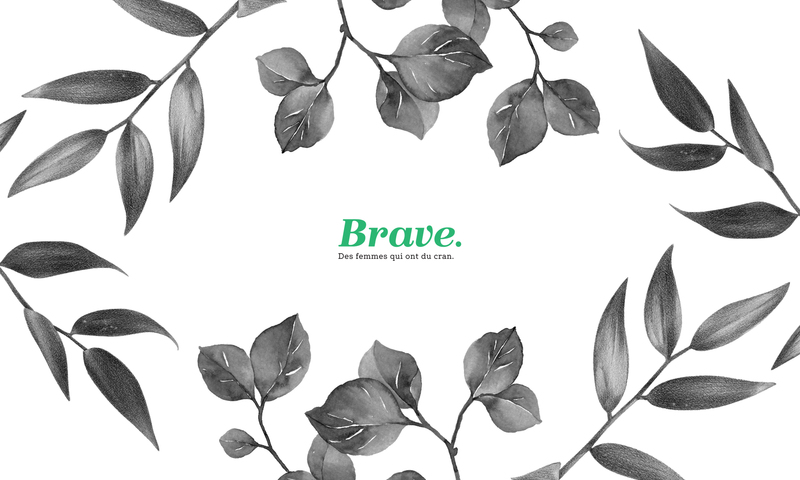 I decided to launch Brave to further my purpose, to inspire others to live full and satisfying lives. I have the deep conviction that by taking courageous gestures, that by reaching the end of one’s dreams, one gets to a unique zone of well-being. That putting one by one the stones of the building of his or her life, one reaches the heights of enchantment. It’s also my story. Without the gestures of courage that I put on my path, I know that I would not experience the happiness that I know today. I would surely still be dissatisfied, unable to express myself freely. Mostly unable to have the impact that I have around me and that makes me proud. I have a sincere interest in the stories of others. I like discovering them and sharing them. Brave is precisely the discovery and sharing of stories of women who have guts. To inspire. To incite. To help.